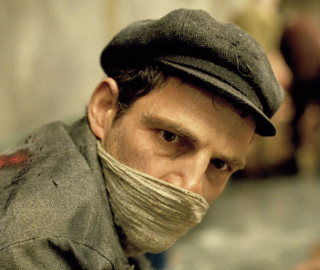 I have not seen Son of Saul, and I will not see it. As a general rule I do not see Holocaust movies, even though I have been a working film critic for 37 years. It is not because they do not affect me but because they do—and I do not trust the way they affect me. 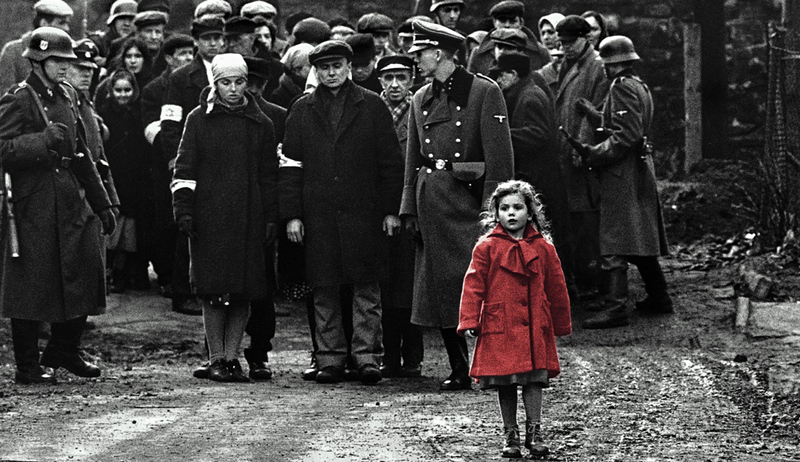 I did see Schindler’s List, and I wept at its conclusion, when Steven Spielberg has the Schindler survivors walk toward the camera as the film’s black-and-white blooms suddenly into color. But what was I weeping at? The director Stanley Kubrick spent years trying to figure out how to make a movie about the Holocaust and never succeeded. 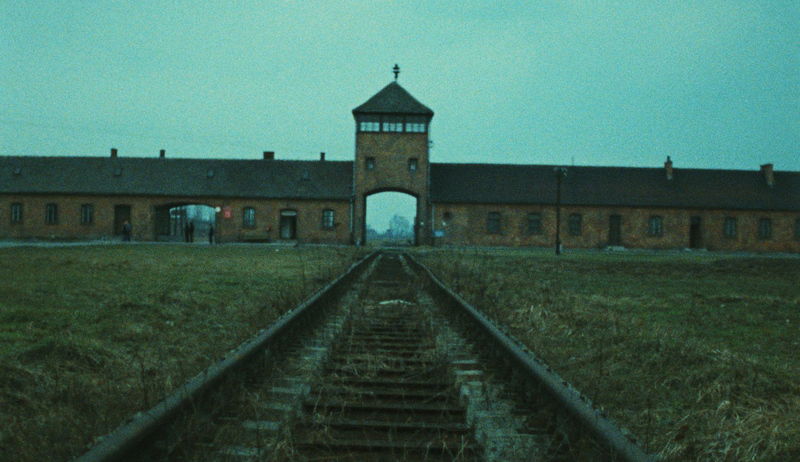 When the writer Frederic Raphael talked to Kubrick about Schindler’s List, the universally praised work of Kubrick’s acolyte Spielberg, Kubrick issued an off-the-cuff criticism as great as any considered analysis by Erich Auerbach or Lionel Trilling: “Think that’s about the Holocaust? That was about success, wasn’t it? The Holocaust is about six million people who get killed. Schindler’s List is about 600 who don’t.” I was weeping because Schindler’s List is the Holocaust with a happy ending. 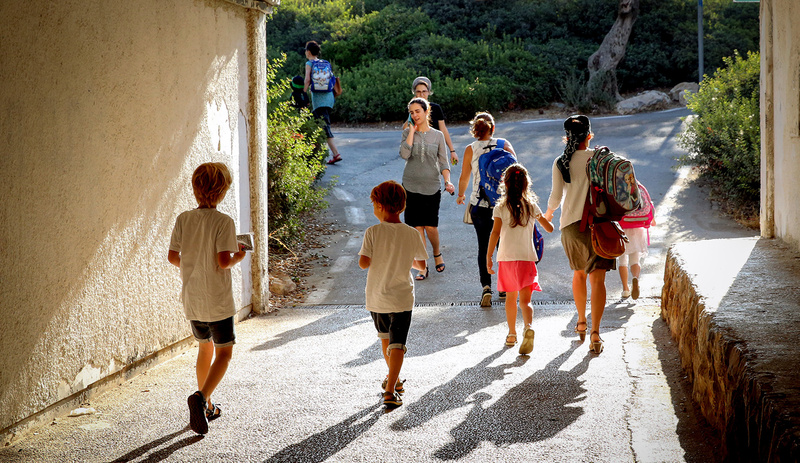 The Shoah did not have a happy ending. It ended. And the tragedy of it will be with us until the end of time. It’s no wonder people seek to mitigate the horror by turning it into fable, but it is an impulse that should be resisted. 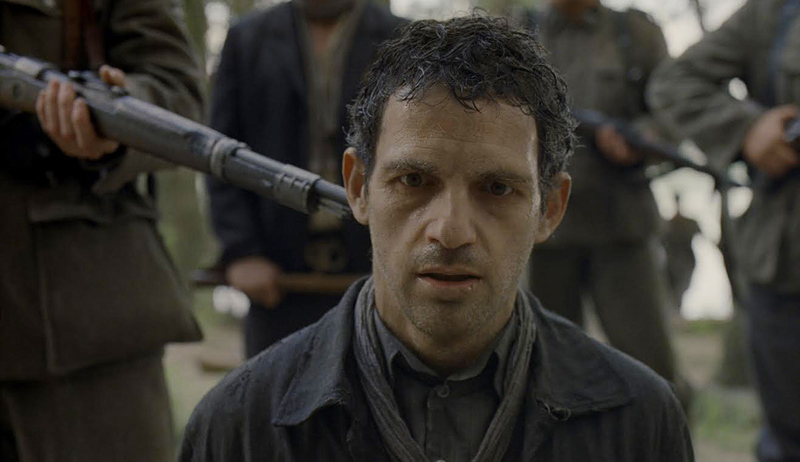 In his brilliant and scorching essay on Son of Saul, Dan Kagan-Kans quietly and systematically exposes the contrivances of this self-consciously “new” kind of film about the Holocaust. The very fact that I just used the words “contrivance” and Holocaust in the same sentence is an example of the insurmountable aesthetic and moral problems faced by this and every other movie about the Shoah. Now, all films are contrivances, whether they are about Auschwitz or about a couple meeting cute in a department store in Philadelphia. What we are seeing is not happening. The people we are watching are not the characters they are playing. The characters they are playing do not exist and never have existed. The words they are speaking were put into their mouths by someone else, which is not how actual people converse. As these simulacra move and speak those words, dozens of real people are a few feet away watching them, recording them, moving pieces of furniture in and out of their way, sending other people and cars and even rolling debris through the viewer’s line of sight to mimic the passing flow of life. The problem is that, more than any other art form before it, the cinema is designed to trick you into forgetting that what you are seeing isn’t real. 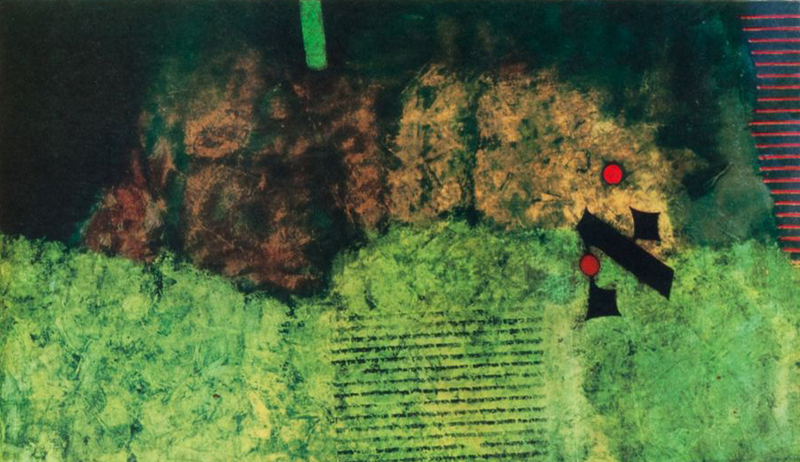 It’s the ultimate in stylization—it hides its stylization behind a veneer of reality. For what you are seeing looks real. Maybe even more real than reality itself. Bodies are walking back and forth before you. People are speaking words. Cars are moving in the background. It’s just that what they are actually doing and what you are seeing are two different things. They are making a movie. You are watching a story. And the act of converting the Shoah into a story is itself a violation of its meaning, its force, and its evil. The imposition of a plot makes the inexplicably and unimaginably awful falsely explicable and, since it is at the same time literally being made imaginable, not quite so awful. The same difficulties afflict novels and poetry and painting about the Holocaust, but the difficulties are mitigated by the fact that such works spring from a single person’s perspective and seek to engage the reader or the viewer in an act of imaginative recreation in which he must participate—for no matter how much description there is, or no matter how vivid the imagery on the page, it is not much different from the necessary experience of reading a work of non-fiction or a memoir about the subject. The greatest novelistic depiction of the camps, Vassily Grossman’s Life and Fate, does what Dan Kagan-Kans says Son of Saul tries to do, which is to walk you through Auschwitz and finally right into the gas chambers along with his characters. But all of that is taking place inside your head, and the ideas and images that spring from it are radically subjective. Your gaze is not being directed by another so that you should feel something predetermined. 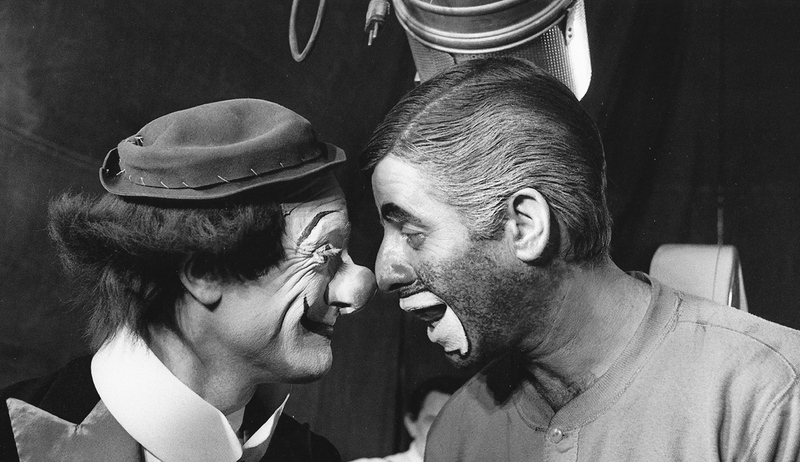 The faces you see in your mind’s eye have not been chosen by a casting agent. Indeed, the experience of reading works about the Holocaust is almost ritualistic—in the same way that the structure of the Jewish religious service is an attempt to substitute an abstraction (prayer) for the literal working-out of devotion (the animal or grain sacrifice). It is only through such a radically subjective perspective that one could possibly succeed even for a moment to confront the worst possible understanding of what human beings can do to other human beings. The only way you could possibly reenact the events that a Holocaust movie depicts on screen and provide any honest sense of what happened would be to reenact them literally. You would have to be in the movie, not watching it. And you would have to be in the movie for weeks or months if not years. And there would have to be the ever-present possibility you could be killed or die at any moment. Unless you could feel the constant terror felt by those in the camps, unless you suffer the hunger and disease and could witness the killing and then even be killed yourself, you are, in some fundamental sense, just watching a staged car crash. There is a fatal flaw in the suggestion made by any depiction of the Shoah that this event was about anything larger and more metaphorical than the literal attempt to wipe Jewry from the earth; or that things happened during the Shoah that somehow explain the survival of the remnant other than luck or cunning or timing; or that it has anything to tell us about humanity other than that people are capable of unimaginable evils. But that suggestion is what any fictional depiction on film naturally does make. It cannot do otherwise. Meanwhile, the people making the movie say “cut,” and the actors dressed in their concentration-camp uniforms head off to the craft table for lunch.